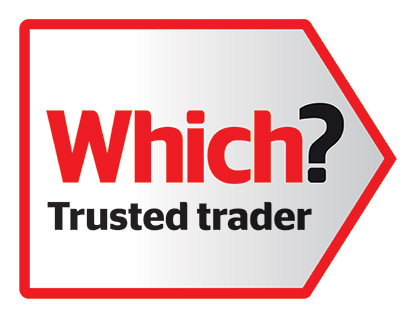 At BeeXpress we are really proud to be part of the Which? Trusted Trader Scheme. Which? is a publication that millions of people around the UK receive every month. They are trusted to give recommendations on every product under the sun from sun cream to the latest smart phones. They also warn people off the products that just don’t do what it says on the tin or break down soon after buying it!! When we found out that Which had their own accreditation we were very excited. This was a way that we could show our customers that we cared about them. Its so hard for a trades company to show that they care until they’ve actually gone into your house and done the work… which may be to late!! Which? come over to our offices where they checked and vetted what we did. They contacted some of our clients and even accompanied us to some jobs to see how we did our work!! WE were contacted just 2 days later to let us now we had made the grade and were now Which? Trusted Traders. Apparently we were the fastest company to be approved with some companies taking months to go through the process! Every customer we go to now gets a postcard which can be filled in and sent off the Which? Don’t worry we don’t stand over you. You make the decision to fill it in and what you want to rate us. We’re really proud that we have 50+ good quality endorsements on our page. You can see them all by clicking on the Which? logo at the top of every page.